Composing it [When The Night Comes Falling From The Sky], yeah. Um… you know, it was bits and pieces of different places that went into writing that. Lines overheard here and there, you know, strung together over a long period of time, resulted in that particular piece. The band included 2 “E-streeter’s”: Roy Bittan & Little “Stevie” Van Zandt..
Queen Ester Marrow, Debra Byrd, Carolyn Dennis (backing vocals). 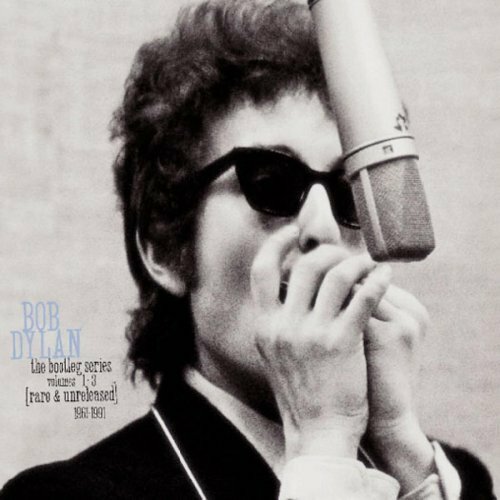 Beginning on low simmer, Dylan doesn’t start cooking until the band join in – on ‘I can see through your walls…’ However, once he sits full square on the hot-plate, he bellows like a wild wolf. If you look out across the fields, see me returning. Smoke is in your eyes, you draw a smile. You’ve had time to think about it for a while. I’ve walked two hundred miles, now look me over. It’s the end of the chase and the moon is high. It don’t matter who loves who. I can see through your walls and I know you’re hurting. With disaster that you somehow managed to escape. Well, I can’t provide for you no easy answers. You know everything, my love. Down below and up above. I can hear your trembling heart beat like a river. And recently you thought you’d seen it all. But you’re disappointed now in those who did not deliver. But it was you who set yourself up for a fall. For the love of a lousy buck, I’ve watched them die. Don’t look for me, I’ll see you. In your teardrops, I can see my own reflection. Luck was with me when I crossed the borderline. I don’t want to be a fool that’s starving for affection. I don’t want to drown in someone else’s wine. That whirlpool of light that’s in your eye. Me in the wasteland of your mind. The song has been performed 63 times live; 55 times in 1986 & 8 times in 1987. Empire Burlesque is a cracking album, I liked it a lot when it came out. A couple of decades past and I revisited it and basically had a nervous breakdown, call it tears of joy but man, it moved me, 80’s production values and all. The moral is, ignore the critics, they really did a hatchet job on this record, plough your own furrow and dig what you want to dig. I don’t know–it seems to me that this song is Bob’s update/rewrite of “All along the Watchtower.” The apocalyptic imagery and the similarity of some of the chord progression makes it sound like that to me. And the band’s performance on both released versions reflect something of how Hendrix interpreted Dylan’s original “Watchtower.” And I would agree with the other posts which suggest that the song really came alive during the ’86 tour. When I first heard it on Empire it didn’t even register. But on BL 1-3 it blew me away. i always thought “it was use you for their own pleasure.” The song is a throw-away for Bob; a treasure for most songwriters. I’ve always had a soft spot for it. Best song? Hardly. Not even close. The phrasing is terrible, the title is boring. Yes, the bootleg series version is a bit more interesting, but only a bit. I heard him do it live at Madison Square Garden in 1986 and didn’t care much for that one either. Sorry but praising a second rate work isn’t healthy for anybody. I wish this site had more critical thinking. the 113th best song – that close to being the best song. To write about stuff we don’t like is a waste of time. We’re not music critics we’re music lovers. You want negative reviews, well yes, you have to go elsewhere. Although I don’t like the production of the Empire Burlesque version, especially considering the drums, I feel the E Street version is a bit conservative, just plain rock, more in the macho vein of Bruce, whereas on Empire he takes chances, tries out something completely new and sings as if the devil is on his heels. Okay, it is dated now, this disco treatment, but it cooks and could have sounded better with less compression and diddling with echo and phasing. The lyrics too are much improved upon, the way he pronounces Icy Wind is just chilling, whereas the whirlwind of light has no power to convince. 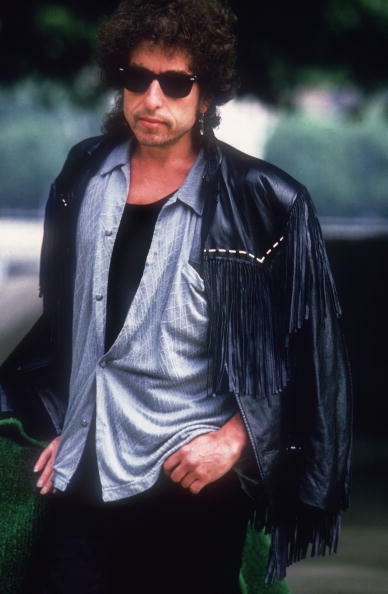 I cherish this song, despite the loathsome eighties treatment, because of the content and the singing… and because it is Dylan experimenting, a thing Bruce seldom did, but okay that great man never convinced me, but I see why people like him. I’m pretty sure it’s “I’m so tired of those who use for their own pleasure” which is what I hear. Bob probably didn’t release the awesome version because of the “Springsteen” sound (great piano) – not the sound an aging superstar considered over the hill would want in the Bruce explosion of 1985. I agree. The “Lyrics” will be corrected. … nice observation! Roy Bittan’s playing is wonderful… as on so many Springsteen tracks & live performances.. Your posting of the various live and studio versions of this song brings to my mind a suggestion that I would like to see the Bootleg series pursue: take one song in the Dylan corpus, issuing a CD called “Transformation” consisting of the original studio version and a large number of live versions. The point would be to show how Dylan transforms a song, creating multiple versions that contradict or expand on the intention of the original. Take for instance “Like a Rolling Stone” that Dylan turned into its opposite (from the studio version) at the Isle of Wight concert. One could relate this to his painting where he transforms a picture by choosing different colors to create different moods. In music changing the key, the instruments, the rhythm, the ambiance in turns of the introduction into the song, fills the same functions. Such a “Bootleg series” release would have been great! Great post…in my opinion the song really came alive on the road with TP&tHB’s in ’86. The “Hard to Handle” version is tops. Yup.. I’ve included 3 live-versions from the 86-tour..
… and I agree.. The “EB-version” is crap.